We have built up a reputation of a reliable and punctual supplier. 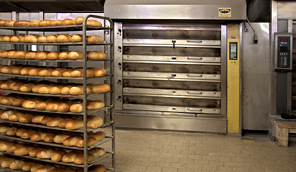 We have state-of-the-art technological and process lines for baking bread, cakes and pastries. High quality of our products is an obvious issue for us. We have access to extended and modern transport fleet. 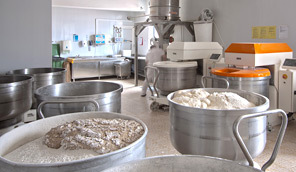 Our baking products are always supplied in accordance with the agreed schedule. 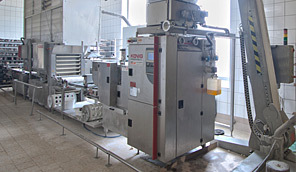 Quality of the baking products is of paramount importance to WARMIŃSKA Bakery & Confectionery. We continuously try coming up to or even exceeding the expectations of our Customers with respect to quality and product range. Warmińska is a dynamically developing producer and supplier of high-quality bread and confectioneries. We cooperate with both numerous large supraregional retail chains nad local retailers. We offer high quality, timeliness of delivery deadlines and extensive product range. All business partners interested in cooperation are welcome! Our products are available in over 300 retail outlets situated in northern Poland. You are welcome to cooperate with us! According to the tradition, high quality at a good price. Our Customers are provided with delicious, high-quality bread, cakes and pastries at a good price. Purchase satisfaction and satisfaction of our Customers are the most significant issues for us. As a dynamic and flourishing family company, open to new challenges, we want to strengthen our position of a leading producer and supplier of bread, snacks and confectionery products in our region.